Home News News TSS Sailing – GPS Champions! 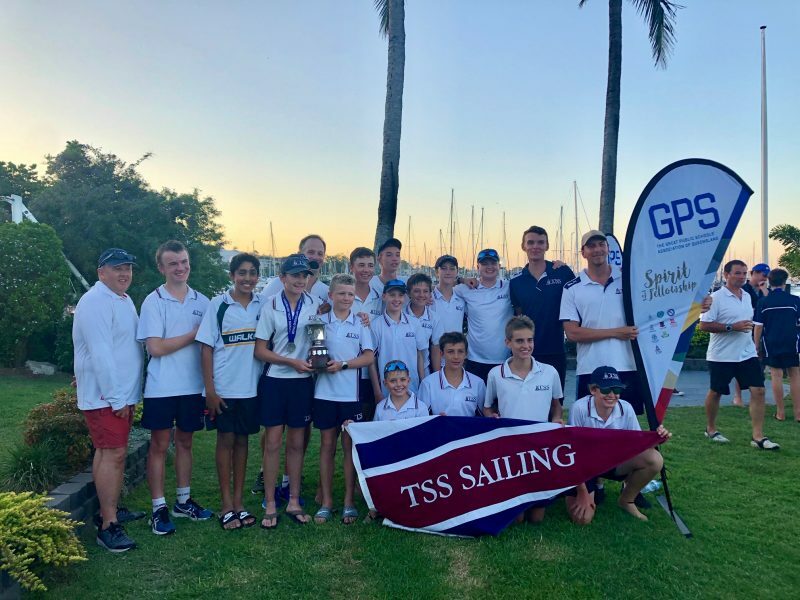 TSS Sailing – GPS Champions! Sailing was delayed early due to light winds, however the breeze strengthened throughout the day allowing six races. Blake Wilson and Lachlan Free were the only TSS crew to win an individual race during the day, being successful in the first race. Our boys at times found the congestion on the start line challenging to negotiate, however, their overall speed and greater consistency throughout the course of the day proved invaluable. When the regatta concluded, Blake Wilson and Lachlan Free finished in 2nd place, followed by Tom Wright and Zach Miller-Wright in 4th place and Angus Wheatley and Andy Douyere in 7th place from a fleet of 34 boats. This gave the TSS First VI the overall first position. 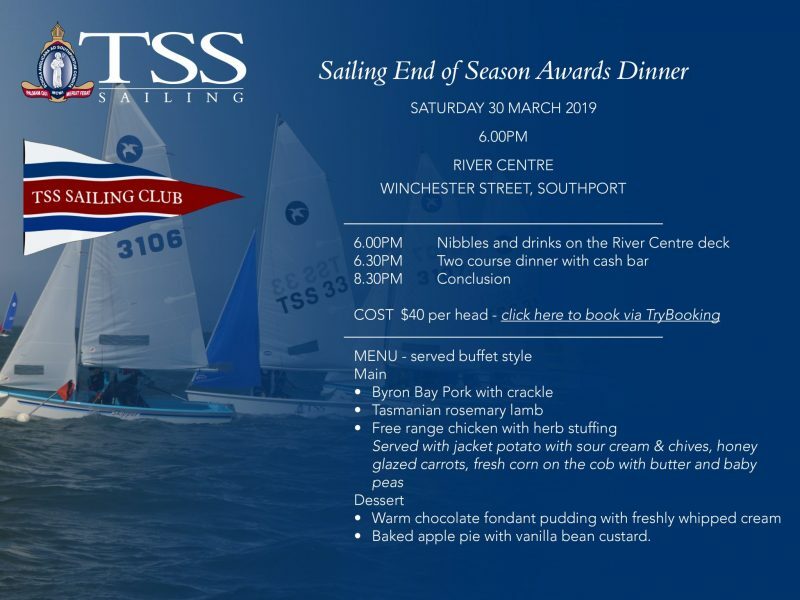 The term’s sailing concludes with the final TSS Regatta on Saturday morning, and the Sailing Presentation Dinner later that evening. We look forward to a final great day of sailing for the term.